Casino Creed is an online gaming and betting site which features live games broadcasted on their site, as well as other selections of interactive games. The site is licensed and registered under the government of Curacao and has been online since 2010. Although it's accessible worldwide, the site prohibits US players to join and deposit real money wagers at the said site. The gaming site is powered and developed by both Microgaming and Casino Broadcast Network (CBN) software providers. These providers supply the site with a wide array of games ranging from table and card games, interactive and video slots, and live games which have huge amounts of jackpots at stake. Table and card game selections include popular tiles like Atlantic City Blackjack, Baccarat, Multihand Blackjack, Roulette Royale, Hi-Lo, and European Roulette. On the other hand, their slot games feature game titles such as Thunderstruck I and II, Hellboy, and Tomb Raider. 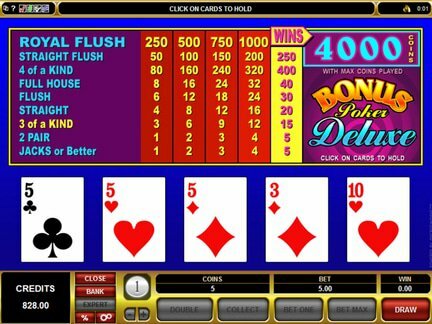 The site also offers video poker games like Jacks or Better, Joker Poker, Deuces Wild, and Double Bonus. As well as, progressive jackpot games such as Mega Moolah that offers its players with a huge amount of jackpot as winning. One of the major features of the site is its live gaming and betting games. These involve live tables, located in Regent at Romania, which are being broadcasted in their site. Players are assured that their bets are secured and safe through this live gaming feature. There are about 25 live gaming tables feature in the site. These games range from live roulettes, live blackjack, and baccarat games. 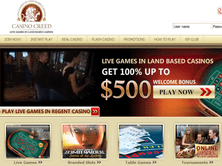 Casino Creed also offers its players with exclusive bonuses and promotions. These incentives include the usual 100% welcome bonus given to new players upon their initial deposits which may amount up to €500. New players are also granted with another 50% deposit bonus on their second deposit which may amount up to €100. The site also hosts daily and weekly gaming tournaments with jackpots reaching €1,000. Players may join these said tournaments at a minimum entry fee worth €5. The company's exclusive VIP Club is also set to launch in due time. Some of the most common complaints the site received are blocked accounts, unresponsive customer support, and non-payment of winnings - which were eventually resolved. However, several online casino review sites have reported that the Casino Creed has already closed down and is no longer accessible to its players. Nevertheless, the site gets a fair 3 out of 5 rating for its unique live gaming feature and exceptional bonuses given to its players.